Many years ago it was a web based home to confused humerous musings by two high school friends. Now it is home to confused humerous musings by two twenty- something year olds. Grown up with partners, jobs and bills our focus has shifted somewhat. Less complaining about science teachers and their unfair detentions and more laughing at MPs and remembering when all this was grass. The original creation of quiteenjoy came from Brown and Coldicott (Anthony Brown and Lee Coldicott). The name comes from a line in Ghostbusters II from Dr. Janosz Poha (Peter McNicol)- “Of course I have seen you on the television…quiteenjoy”. Peter was used as the first logo of quiteenjoy in honour of him naming the site. The first site was a “geocities” hosted mess. Here Brown and Coldicott would store their respective on line comics- Evil Beaver and Yakult. As time went on, and they got progressively braver with MS Paint, more items came to the site. Half-lees (comic adventures in the original half life universe) funny signs and infiltration (an invasion into online chat rooms) were soon posted on line. When they actually managed to get in the same location as each other they would sit down and write a good old rambling conversation on the index page. Other times it would just be Brown filling the wall with un-fulfilled promises. We were involved with the creator of the wonderful “capt suppository” web comic Oliver Peacock until he went off-radar in 2004 and Bullet Proof Cupid (fans of our site) .Quiteenjoy ran in this form from 2003 – 2006 where it was left in an unattended state until mid 2008. 2008 quiteenjoy came back to life. With a radical re-design and re-branding it was set to be more ambitious than the former site. Initially re-booted with inspiration from Aaron Itzerott’s “Toast” forums, the re-birth of quiteenjoy was announced here and we called for help to make some new articles for the site. These articles became known as the “Rabid Rants” and saw contributions from New-comers Reeves, Luxton and Jenkins. This was not Jenkins’ first contribution to quiteenjoy but it would see him become the regular speaker that he is today. The Design to the right was the first attempt at building the new site using Dreamweaver. It didn’t last long. Eventually dumping the dreamweaver site after it was fully completed in september 2008 we moved over to apple’s “iweb”. Amazing how much can be done in what is essentially a “my first website” drag and drop platform. It suited our purposes just fine though and so two months later the entire site was back up re-made in iweb. This lead to the introduction of the quiteenjoy “scatterboard”. The front end to quiteenjoy has always supposed to be a blog but lack of knowledge on how to implement one has led to it never actually being one. Well now it is. The site is now run by Brown and Jenkins (Anthony Brown and Andrew Jenkins). Thanks to the blog interface they both now have the chance to update the site whenever they want from wherever they are. Brown frequently updates the site as he travels around London commenting on the oddities he finds. Since 1999 we have made comedy videos under the heading of ajba productions. 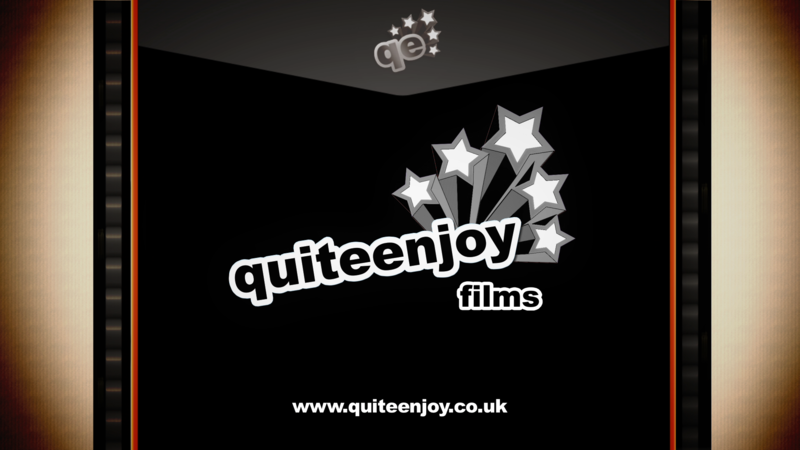 In 2009 we changed “ajba productions” to “quiteenjoy films” in order to tie into the website. We are currently producing a sketch show named “Insert title here” under quiteenjoy films. As the sketches are finished they are published to Vimeo HD and presented here on the site. quiteenjoy your time with us wont you.